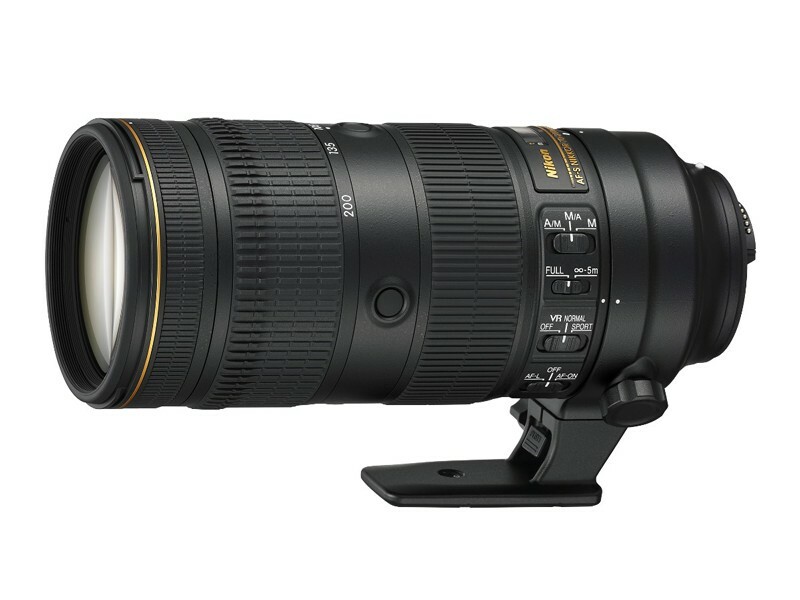 For years, Nikon's 70-200 f/2.8 lens has been the benchmark for fast telephoto zoom lenses, unrivaled for low-light, sports, wildlife, concerts, weddings, portraits and everyday shooting. This new version takes that legendary performance to the next level with the same jaw-dropping image quality that has made it a prized lens of pros and serious hobbyists alike. Whether you're shooting a DX DSLR like the D500 or an FX powerhouse like the D5, the AF-S NIKKOR 70-200mm f/2.8E FL ED VR will take you to thrilling new heights. Shoot with the aperture wide open at f/2.8 across the entire zoom range—from 70mm to 200mm—for sharp, bright images with smooth, creamy background blur. Close focus has been improved from 4.6 feet (1.4m) to approx. 3.6 feet (1.1m), allowing for stunning close-up portraits. Combined with a high-ISO Nikon DSLR,the AF-S NIKKOR 70-200mm f/2.8E FL ED VR opens new possibilities for capturing indoor sports, wildlife at dusk and dawn, wedding receptions and so much more. You don't get a second chance to capture the decisive moment, and weather conditions rarely cooperate. The AF-S NIKKOR 70-200mm f/2.8E FL ED VR is designed for exactly these moments. An all new weather-sealing design ensures you can keep shooting through nearly any condition. Every movable part of the lens barrel—nine parts in all—are extensively sealed for dust and water drop resistance. Additionally, the front lens element is coated with Nikon's non-stick Fluorine coat, resisting dirt, fingerprints and smudges. Camera movement during exposure robs sharpness. It's that simple. Nikon's VR image stabilization has ben enhanced from 3.5 stops to up to ~4.0 stops**, a must-have feature when working handheld, on a monopod or even a tripod. A specialized Sports Mode is optimized for camera pans and fast-action sports, and the Tripod Mode eliminates the subtle ground vibrations that are constantly passing through a tripod or monopod. Capture subjects with outstanding sharpness, even in low light.